Zimi Bagel Café is an Old World Bagel Bakery with its original family roots dating back to 1990 in Rockland County, NY. We make our bagels the old-fashioned way. We mix our own dough from scratch to create a hand rolled, hand baked, hot water bagel fresh everyday and throughout the day. Our prepared meal options are 100% clean food, prepared in our open kitchens for all to see the delicious offerings we serve daily. 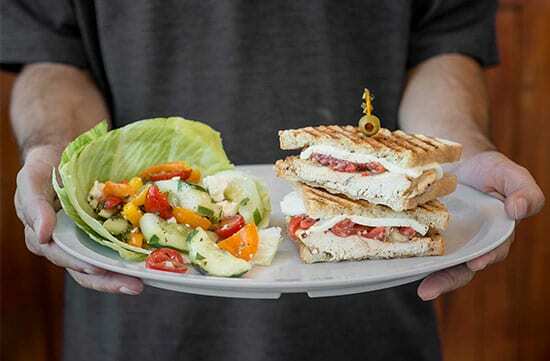 At Zimi Bagel Cafes we know Quality and Service never go out of style. Starting our day well before the sun comes up we take our time, not yours, to create the best possible experience for our customers. We make use of the freshest ingredients in our products, and that gives our baked goods a nice old world quality that you are unlikely to find anywhere else. 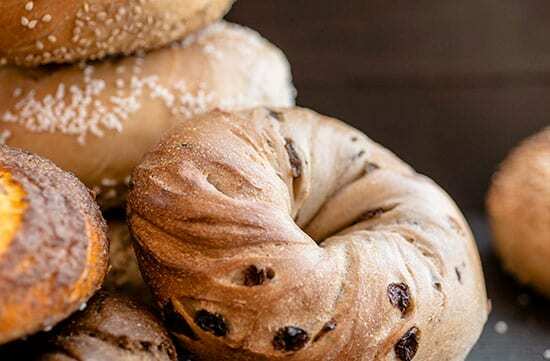 While other bakeries often have their dough frozen and delivered from many miles away, we prepare our dough at our own cafes at Zimi Bagel Café of Pearl River and Zimi Bagel Café of Nanuet. Our open kitchen is the hallmark of our honesty and integrity. We prepare all sandwiches, meals and catering in our front of house for all to see how your order is handled and prepared. This is a very different way of doing business compared to ‘back of house’ food preparation. Our front of house is a working kitchen throughout the day. All is constantly cleaned and sanitized and always ready for business the next day. 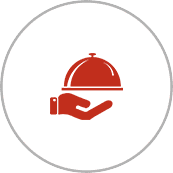 To price a catering order, visit Catering and fill-out the form, then call us to discuss your order with a manager on the phone or in person to arrange payment. If you are looking for a gift for a special occasion, do not forget to drop by and pick up a gift card from either of our locations today. © 2019, Zimi Bagel Café. All Rights Reserved.